Early childhood, elementary education, and special education systems have much to offer each other. Learning environments reflect what we know about how diverse young children interact with their surroundings across the PreK through third grade span. Schools are welcoming and accessible to all children and their families. Indoor and outdoor environments reflect and celebrate the local community in a variety of engaging ways. 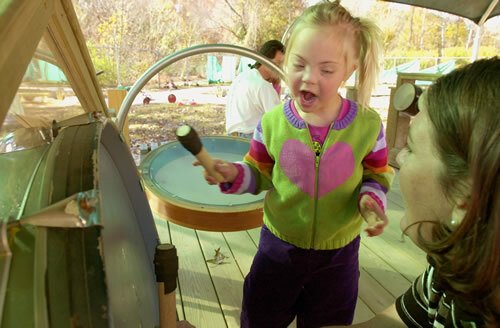 Indoor and outdoor physical environments that offer a variety of settings for different learning opportunities best support each child’s unique needs and challenges. A broader repertoire of experiences and instructional approaches must be made available to children. The spaces in which children learn and develop promote and provide for expanding approaches to education. A clean, safe, and environmentally sound physical environment is a vital component of quality for students, staff and families. Positive relationships and effective communication are central to an affirmative environment. Proper design of physical space plays a primary role in facilitating the development and maintenance of relationships throughout the school community. Indoor and outdoor spaces that are conducive to communication set the tone and send the message that getting to know one another is important.